Within the Western Buddhist community, the discussion regarding psychedelics has revolved around questions like, Are psychedelics beneficial or harmful to meditative practice? Should they be considered prohibited substances according to Buddhist scriptures and vows? Is there knowledge to be gained through their use, or just deeper entrenchment in illusion? . . . Various spiritual authorities have weighed in on the subject over the last 50 years, including Alan Watts, Huston Smith, Ram Dass, Ken Wilber, His Holiness the Dalai Lama, and many others. While the question is still up for debate, many have decidedly taken a position on a spectrum that reaches from unabashed advocacy to total prohibition. Spiritual authorities and intellectual figures who strongly promoted the use of psychedelics were people like Ram Dass and Terence McKenna. Early on, when psychedelics were just being introduced into Western mainstream culture, Ram Dass believed in their near limitless potential for addressing societies’ problems and accelerating people’s spiritual development. He and others thought that everyone (55:22min) should take as much as they can. He and his colleague, Timothy Leary, (seemingly) jokingly considered spiking water supplies with LSD in order to “turn on” the population. 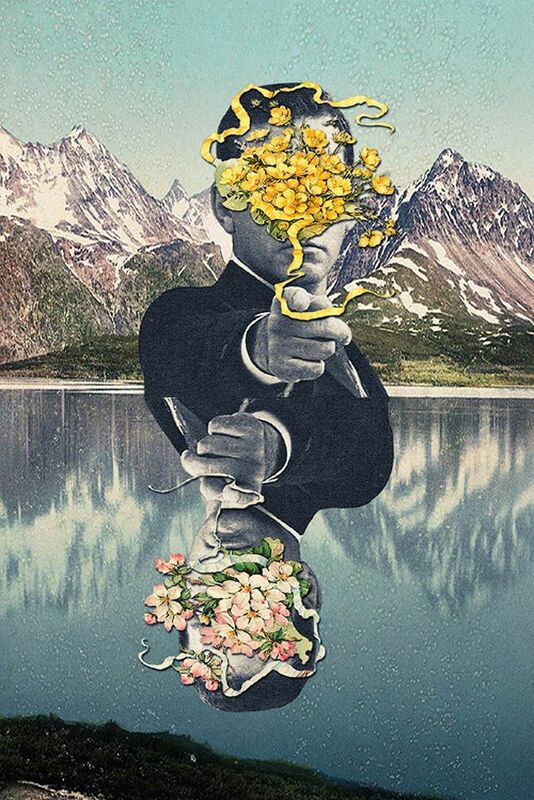 The views of early psychedelic enthusiasts best represent an extreme attitude of advocacy. (With time Ram Dass’ views have become more conservative, though). His Holiness the Dalai Lama sits at the other end of the spectrum (in full-lotus, I imagine), saying that taking psychedelic drugs merely add more illusion to our lives when we have more than enough to deal with already. Michelle McDonald-Smith (pg. 7)believes that chemically-induced experiences, though they may be profound, ultimately have nothing to do with the “natural” cultivation of mind; she sees them as entirely separate techniques that have nothing to say about one another. Others on this side advise against using psychedelics because they view them among the “intoxicating substances” prohibited by the fifth Buddhist precept. Still others fear that the fantastic quality of psychedelic experiences, like the Sirens in Homer’s Illiad¸ may lead one astray from the path of development (the Zen term for this is makyo). Of course, it is a good idea to take into account the extent of such persons’ psychedelic experience. The Dalai Lama admits to having no such experience of his own, and so his opinion of the subject is necessary limited. Some Buddhist practitioners who do have experience, though, express concern that previous trips may have tainted their understanding of Buddhist teachings (although only a small minority in Charles Tart’s 1991 study). 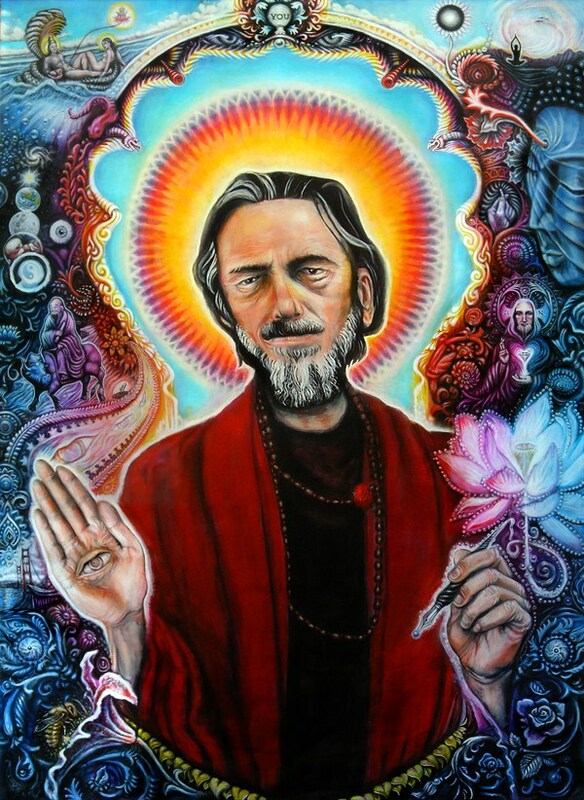 Alan Watts represents a view that stands somewhere in the middle of these two extremes – a very Buddhist place to be. He saw potential benefit for psychedelics on the spiritual path, but thought that their use should not be continued indefinitely. “The ideal of a good doctor is to get rid of you as a patient,” he said. In the same way, psychedelics – as good medicine – should help resolve what they are meant to, and not leave you “hooked on the medicine.” There is no need to keep taking your medicine once you are well. This view assumes that psychedelic experiences can affect one’s “natural” meditation practice, and potentially for the better. It also addresses the concern of getting side-tracked by the fantastic and infinitely-explorable interior landscape of psychedelic experiences, with its recommendation to stop using once insight is achieved. It is apparent that the discussion within Buddhism about psychedelics is complex and exists on several levels – from an ethical position regarding the fifth precept, to instrumental concerns of harming one’s practice, to fears of becoming distracted from the ultimate goal. The reader should keep these in mind while reading this article. Below, I consider some ways that psychedelic experience may be applicable to Buddhist philosophy and practices. It is filled with references to books, articles and YouTube videos in the hopes of providing the reader with multiple entry points into learning about psychedelics, Buddhism, and their relationship to one another. To start, I’ll consider some direct applications of psychedelic experience to aspects of Buddhist philosophy in general. After, I’ll explore the influence that it could have on three specific Buddhist practices. I’ll finish by discussing the way psychedelics have personally influenced my own practice and understanding of Buddhism. The way in which psychedelics might be useful in spiritual practice are as forms of state training. To understand this concept, let’s explore philosopher Ken Wilber’s distinction between states and stages. Stages are overarching levels of psychospiritual development.Think of them like the different phases you go through in learning math: first you learn the set of natural numbers, then addition and subtraction, then multiplication…all the way up to algebra, calculus, and beyond. Each stage of math “transcends and includes” the previous stage, and allows you to answer more complex questions. In the same way, stages of psychospiritual development transcend and include their predecessors, and allow us to approach the world from a more inclusive, comprehensive perspective. States, on the other hand, are the conditions of our consciousness at any given time. The normal of set of states that most of us are familiar with are the waking, dreaming, and deep sleep states. If you are reading this paper, you may be familiar with the psychedelic state, as well. An important point is that states are available to us at any stage of development – the caveman of the Archaic Stage enters sleep, dreams and wakes like a Zen Master does. In line with this, Wilber makes the point that “states are free, stages are earned.” We spontaneously transition between waking, dreaming and deep sleep states without effort, and can have profound spiritual experiences by ingesting different chemicals. Access to a new stage, though, may require years of study, self-work, and meditative practice. From the Buddhist perspective, true spiritual practice is oriented towards reaching higher and higher stages of development, not just acquiring a facility for entering or remaining in transitory states that do not indicate permanent changes in one’s being. What could psychedelics have to do with true spiritual practice, then? Wilber says that “the more you are plunged into a state, an altered state that is bigger than you are…that you can’t interpret…it acts to dislodge, just a little bit, your identification with whatever stage you’re at.” State training, therefore, is the practice of entering “bigger” states to loosen our grip on our current stage. If psychedelics can provide these big states, they may be useful as forms of state-training. If you commit yourself to a Tibetan Buddhist monastery in the morning, chances are that by the afternoon, you’ll be contemplating one of the Four Thoughts that turn the mind from samsara. These Thoughts spring from the core of Buddhist philosophy, and are essential for effective practice. Students must work to assimilate them into the core of themselves – to feel in the depths of their (non-existent) souls. These are known as “the preliminaries,” the things on which one’s later practices will be based. Two that I’d like to note are 1) the contemplation of one’s own death, and 2) the realization of the defects of worldly (samsaric) existence. I lapsed out of time and space. I saw the sky fold up like a book and there was a black abyss beyond it. I felt my soul leave my body and was sucked up beyond the clouds. I had no concept of the duration of this, and everything felt eternal, like a dream. Visions of the end of my life also flashed before my eyes like a 24-hour movie in seconds of time…The entire scene of my death was played out before my very eyes…I actually saw my body lying there, as cold as a cadaver, as I sped back towards it as if I was falling from a skyscraper directly back into it. I took a deep breath of life giving air and gasped. “Death experiences” like this one can be completely convincing, and may force one to deal with the certainty of their own death. For someone not expecting such a powerful experience, a death-trip would be terrifying, and they might not know how to handle it. For someone prepared to integrate a psychedelic death experience, though, it might be just what they need. 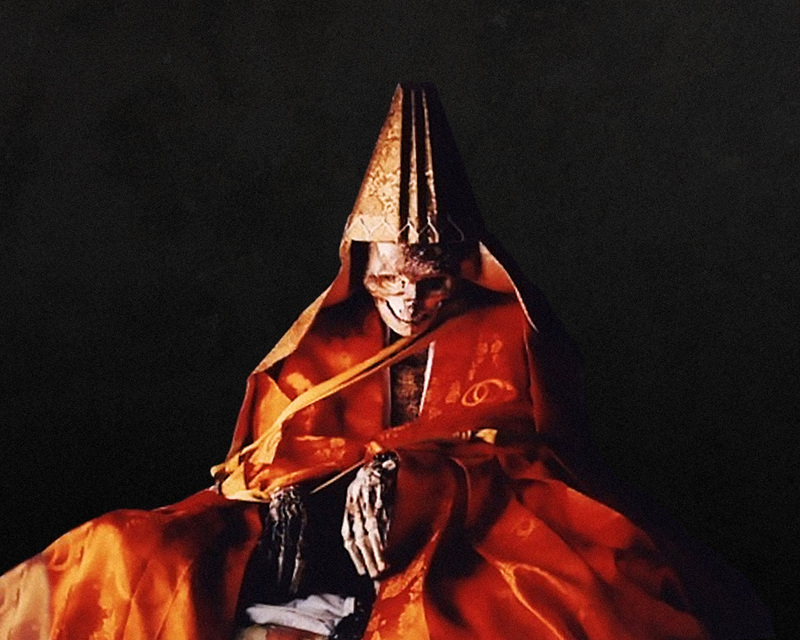 In order to fully internalize the certainty of their own deaths, many Buddhist monks will meditate for hours in the presence of dead, decaying bodies – preferably human. This is known as “corpse meditation.” They note the various stages of decomposition that occur after death, and hope to come to the rational understanding that they themselves will undergo this process. Psychonaut Terence McKenna once said that “All spiritual disciplines that I know except for psychedelics put a great deal of emphasis on putting the pedal to the metal. Push, push, push – you know – meditate, make offerings, do Mantrayana, do Pranayama, do Puja, push, push, push! With psychedelics, suddenly there is a very deep interest in ‘and where are the breaks?’” In contrast to the rational, collected method of corpse-meditation, a dramatic first-person experience like the one quoted above might be a useful alternate route for someone hoping to internalize the certainty of their own death. Many people report coming down from a psychedelic trip with a broader perspective on themselves and on their society. By giving us a comparison with our “normal,” unaltered state of waking consciousness, psychedelic experiences give us something to evaluate our experiences of ourselves and our societies against. For this reason, McKenna equated psychedelics to travel (3:12min): You get a perspective on your own culture by visiting another, which gives you something to compare it against; and it’s peculiar that both experiences are called a trip! For example, several cultural movements of the 1960s were fueled in part by the temporary adoption of hallucinogens into mainstream culture. Many people adopted practices like vegetarianism, communal living, and bartering systems – all of which romped with traditional values of American culture; and which sound very much like monastic living. My kingdom, which resembles a dream object, is devoid of essence. Subjects are mere deceptions, illusions. Then I am not a fortunate one who has amassed great merit. I shall always seek vast and extensive learning. On a light future trip, scroll through your Instagram feed and try to discern the cultural forces that people might be aligning themselves with. Don’t forget to check your own profile. The dissolution and recasting of habitual patterns is near and dear to the heart of Buddhism. In the language of the great Tibetan Rinpoche, Chogyam Trungpa, the work is replacing old, irrational beliefs – the way we think the world is – with sane beliefs, which mirror the way the world really is. This entails that the way we have naturally grown to see the world and ourselves is misinformed (6:30min). From the Buddhist perspective, the process of growing up in the world is like the misaligned healing of a broken bone, and the work that needs to be done is to re-break and reset it. In the Buddhist tool kit are many powerful meditative practices which attempt to reformulate our view of ourselves and the world. Jumping from the neurological level to the societal level, Ram Dass (33:40min) believes that psychedelics provide an internal validity to your experience that undermines the external validity of what society and culture have to say. Instead of relying on societal and cultural sources to help structure your beliefs (eg. What is a good life? What kind of things hold value? Who is my neighbour? Etc. ), psychedelic experiences possess an authority of their own; and this internal validity helps you form your own beliefs based on your own experiences, Ram Dass says. When we emerge from the womb, we have no intellectual tools to understand the world with. Every piece of sensory input is novel, fresh. There is no possibility for categorization or elaboration; experience just is as it is. But, as we grow, we begin to use symbols and to form concepts that help us understand our environments. Pretty soon, we’re not living in the real world, but the in a conceptual world (9:21min). One of the main aims of Buddhist practice is to systematically dismantle our conceptualizations about the world in order to live in the world as it is, again. Ibelieve a good term for this process is de-conceptualization. The space of the nature of mind that transcends all thoughts. Whether one meditates or not, it is present from the beginning and cannot be lost. Meditating means abiding in the state of equanimity without thinking! Much of what goes in psychedelic experiences is difficult to put into words. Many aspects of psychedelic experience are ineffable. They do not afford conceptualization or verbalization. In this way, psychedelic agents may give a glimpse of life free from concepts. It is not the aim of Buddhist practice to merely deconstruct our world and leave it in pieces on the ground, though. This is in accordance with a well-known Zen saying, “Before I came to Zen, mountains were only mountains, rivers were only rivers, trees only trees. 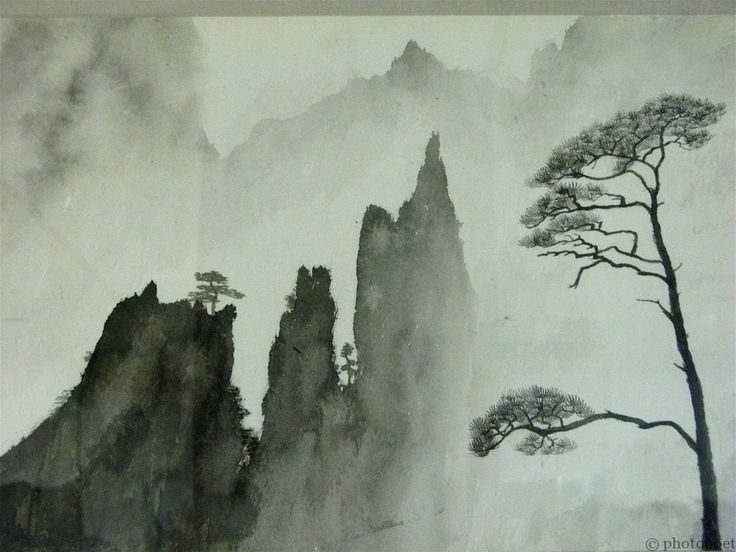 After I got into Zen, mountains were no longer mountains, rivers no longer rivers, trees no longer trees. But when enlightenment happened, mountains were again only mountains, rivers again only rivers, trees again only trees.” Through the process of de-conceptualization, we are meant to deconstruct our conceptual outlooks, but then to return to a place where concepts are seen for what they are: just concepts. For many of us, though, there is still plenty of work to be done in deconstruction. Inducing these experiences with psychedelics may help to free us from our automatic conceptualizations, not only in the moments of a trip, but in our everyday lives. Just as meditation practice is supposed to spill from the cushion into everyday life, “naked” moments of a trip may carry-over into the rest of our lives. There have been several scientific studies that have reported long-lasting effects of psychedelic experiences in changing personality traits (especially the domain called “openness to experience”). It is not unreasonable to assume that other aspects of psychedelic experience, particularly de-conceptualization, could “carry-over” into daily life, as well. Listen to speech in your native tongue and try to hear it just as sound, rather than as meaningful words. Ego and the outer world are separated in the normal condition of consciousness, in everyday reality…it has become an object. In the LSD state the boundaries between the experiencing self and the outer world more or less disappear, depending on the depth of the inebriation… This experience of deep oneness with the exterior world can even intensify to a feeling of the self being one with the universe. In Buddhist philosophy, this fundamental oneness, or interbeing, of all things is the fundamental state of the universe. Here, Buddhist philosophy makes a distinction between the absolute and relative levels of reality. On the absolute level, there is only One Thing happening; there is just one continuous Process taking place. Naturally, though, most of us spend our waking hours on the relative level of reality. This is the state of mind in which we exist as persons who are fundamentally separate from our environments – not a bad thing to believe when you are driving to work or running from a bear. Buddhists believe that this relative level is true, in a sense – we do exist as personal subjects in an external world. However, that is not the only level that we exist on. They see the absolute level as true at the same time (2:34min). In this way, it is thought that we exist on relative and absolute levels at once, like two sides of the same coin. Following Hoffman’s description of the oneness that can be experienced in the LSD state, psychedelics might provide an opportunity to explore the other side. Thomas Nagel asked What is it Like to be a Bat?, which uses echolocation to perceive its surroundings. Is the apple really a group electromagnetic waves of 500nm (red), or is it a series of 83kHz soundwaves? Quantum physics asks: are photons waves or particles? The answer to both these questions is that it depends on the instrument you use to observe it. The instrument of perception for human beings is, of course, the nervous system, and its functions drastically change with the addition of psychedelic chemicals. With the addition of 300 micrograms of LSD, for example, a routine walk through the park could turn into an exploratory mission through the forests of an alien planet. With this power to alter our perceptual instruments, it may be possible to gain insight into Buddhist emptiness by realizing the relativity of our own point of view. A list of incredible occurrences could go on forever, but these three experiences map onto Buddhist metaphysics particularly well. There are six realms of existence in Buddhist cosmology. In descending order, there are the realms of gods, demi-gods, humans, animals, hungry ghosts, and the hells. Of course, on psychedelics you could feel as though you have died and truly gone to heaven, and experience the bliss of a loftier realm of existence. Alternatively, claustrophobic places of despair and darkness could also be on your travel itinerary. It is important to note that people often describe such experiences not only as a state of mind, but as places – they feel they have entered a particular hell or heaven realm. Someone once asked McKenna what happens at doses above the 5-7 gram range for psilocybin (Cubensis) mushrooms . He replied that the +8 gram range is where alien abductions and other such strange encounters tend to occur. Encounters with extra-terrestrial entities are not uncommon when using psychedelic agents. The chances of meeting the thousand-armed, buffalo-faced Buddha Yamantaka grow higher with the size of your dose, though; and certain chemicals are known to be more reliable than others. Dimethyl Triptamine (DMT) is especially well-known for producing alien encounters. In Buddhist cosmology, different beings inhabit each of the six main realms of existence, and some depictions, like Yamantaka, are just as weird as the beings some people encounter in DMT hyperspace. It is not…unusual to experience, on the level of cellular consciousness, full identification with the sperm and the ovum at the time of conception. But the historical regression does not stop here and it is possible to have experiences from the lives of one’s human or animal ancestors, or even those that seem to be coming from the racial and collective unconscious … Quite frequently, the experiences that seem to be happening in other cultures and historical periods are associated with a sense of personal remembering; people then talk about reliving of memories from past lives, from previous incarnations. 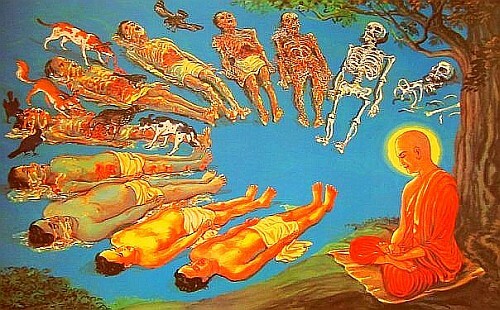 Buddhists believe in the theory of reincarnation – that our psychological continuum will carry-on after our bodies die, and will enter other bodies in the future. Instead of being met with bewilderment and disbelief, a psychedelic past-life experience might not be so confusing for a Buddhist practitioner. In general, the metaphysical universe of Buddhism – with its multiple realms of existence, plethora of extraterrestrial entities, and theory of reincarnation – has a vaster scope than the average Western belief-system. One Buddhist practitioner said that “Tibetan Buddhism or Hinduism, with its flashy trappings and enormous numbers of deities and practices, was more like my psychedelic experiences than anything else I came across. Although the essence of Christianity might be the same, what I learned in church was more the opposite.” Buddhist metaphysics might be able to offer a helping hand to people who have psychedelic experiences whose content reaches beyond the scope of their belief system. Through sociocultural deprogramming, de-conceptualization and realizing emptiness, Buddhists hope to reach the state of anatman – literally, “no-self.” The doctrine of no-self is that we are not fundamentally independent, intrinsically existing beings (even though it damn-well feels like it). Buddhist philosophy says it’s this belief that keeps us tethered to the wheel of samsara (birth and death), and that is the foundation for all our suffering. It is thought that realizing the truth of no-self is liberation, therefore, because it is seen that there is no person there to go on suffering and reincarnation. The Default Mode Network…is concerned with self-referencing, with a sense of self, with looking inwards. Then we have the Task-Positive Network that is concerned with “object,” “external” and “other” … We see that the activity in these networks is competitive; as one goes up, the other goes down … What happens under psilocybin is that we see a collapse in this competitive relationship between the two networks. So rather than being either-or, or winner-takes-all, they become, essentially, one. They become the same network. They blend together…[and] this underlies the loss of subject-object differentiation. Carhart-Harris’ research provides insight into the physical mechanisms that produce the experience of anatman. Sit somewhere in nature and close your eyes. 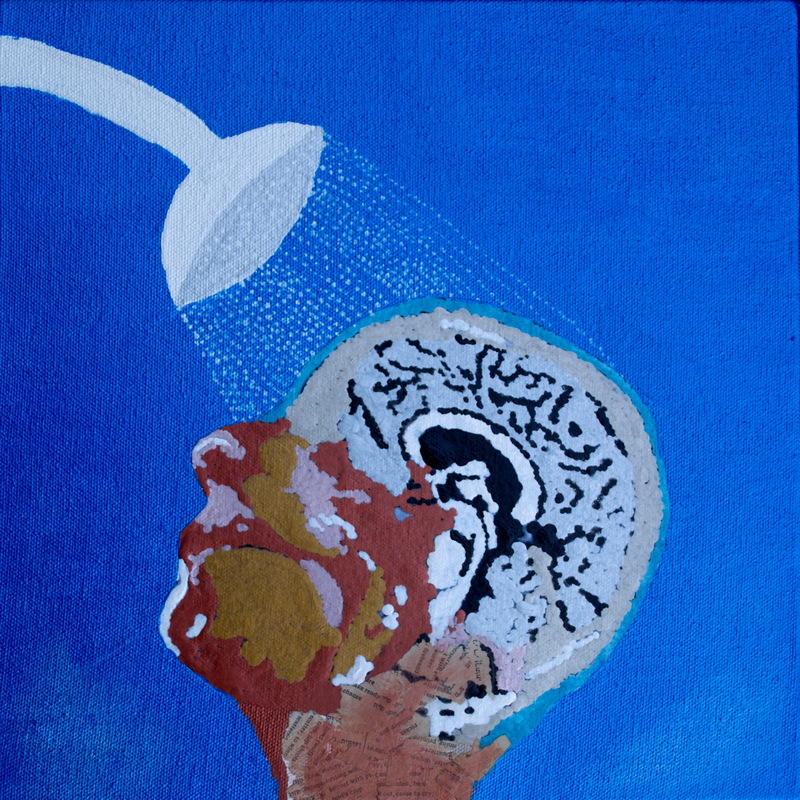 After a few deep breaths, listen to the sounds around you and ask why they feel “other,” while the thoughts that enter your head feel like “self.” Try to mix-up your brain’s Default-Mode and Task-Positive Networks. “Train to view all phenomena as dreamlike,” wrote Tibetan master Atisa hundreds of years ago. Injunctions like this can be found in the scriptures of all Buddhist lineages, reaching all the way back to the teaching of Buddha (Shakyamuni) himself. This is such an important part of Buddhism because it is seen that it’s our belief that things are realwhich makes us suffer. Reifying the objects of consciousness creates the potential for suffering. We suffer because we take things to be real, and we suffer in direct proportion to how solid we make the contents of our mind. The teachings on dream yoga and illusory form go to the heart of the matter, because they show us how we create our own suffering by making things so real—so solid and heavy. The removal of suffering is a direct effect of seeing the world as dreamlike. We use our study of nighttime dreams to understand the mechanics of our suffering and happiness in the so-called daytime dream. The practice of illusory form consists of reminding yourself throughout the day that things are not actually as they appear, but are really just dreamlike appearances that have a convincing quality to them. It is practicing remembering that your mind is creating waking reality like it does your dreams. The word “psychedelic” means “mind-manifesting” (from the Greek: psykhe delos). This points to the ability of psychedelic substances to bring into awareness aspects of the mind that are not normally perceived, whether in the form of visual hallucinations, strong emotions and thoughts, etc. The etymology of the word leaves one inclined to think that psychedelics may be linked to experiencing the dreamlike-ness of reality. Some prominent ancient Buddhists have drawn direct parallels between the two. In The Treasury of Wish Fulfilling Gems, Kunkyen Longchen Rabjam wrote of that the nature of phenomenal reality is “just like a Datura hallucination…selfless and unreal.” Several psychedelic plant substances were known to ancient Buddhists, but it is officially unknown whether they employed them in their practices. People like Tibetan lama and Sanskrit scholar, Mike Crowley, Ph.D., argue psychedelics played an integral role in the development of Vajrayana Buddhism. By providing a clear example of the way in which our minds manifest reality, psychedelics could be a useful adjunct to the practice of illusory form of Dream Yoga. 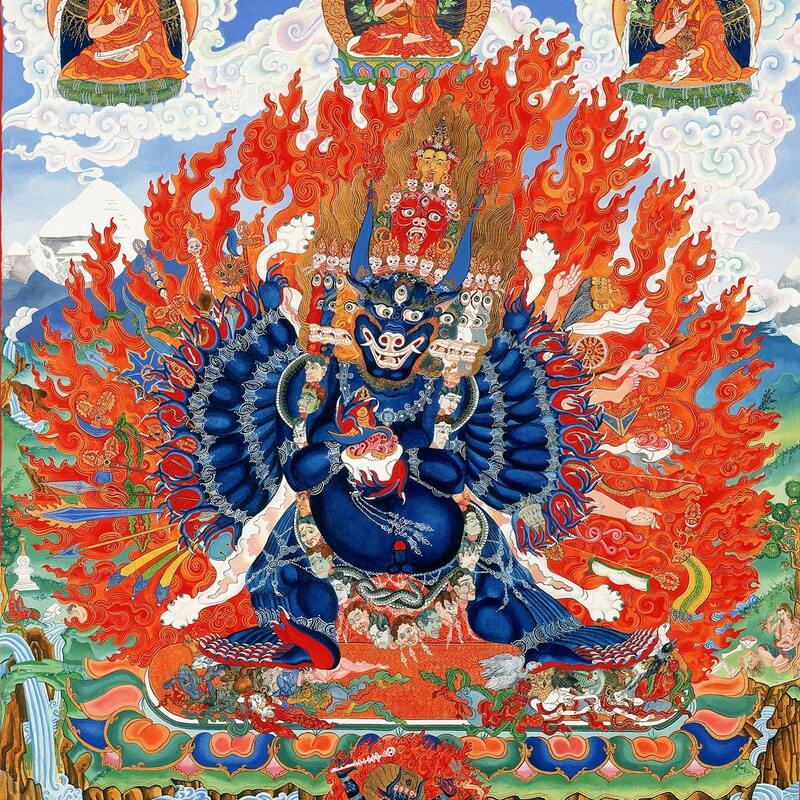 Yidam practice, also known as Deity Yoga, is an essential vehicle to enlightenment in Vajrayana Buddhism. A yidam is a higher spiritual entity which you devote yourself to for purification and guidance. These “higher spiritual entities” are somewhat analogous to Carl Jung’s idea of archetypes of the collective unconscious. Yidam represent supra-personal qualities and states of being that lay at the foundation of human psychology; they viewed as “deeper” aspects of ourselves. Through visualization, mantra, and physical movement yidam practice attempts to trick you into self-identifying with the yidam. This practice is found all over the world, though. It makes part of formal religions as well as primitive shamanic systems. In Catholicism, for instance, some people feel a strong connection with a certain saint and perform special prayers and rituals that strengthen their relationship with the saint. In protestant Christianity, the only yidam permitted is Jesus Christ, Himself. 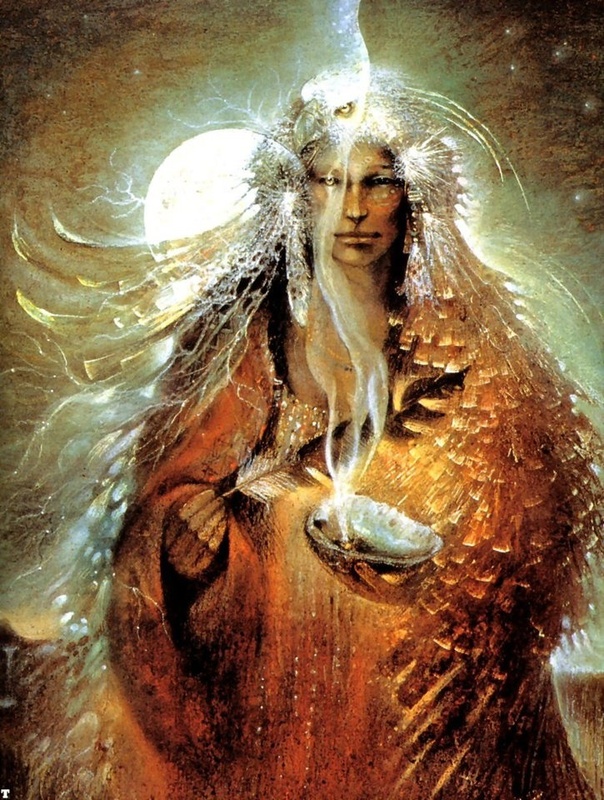 Shamans in aboriginal cultures may associate themselves with an animal spirit, such as the bull, the wolf or the crow. Western meditation master Shinzen Young uses the Virgin of Guadalupe as his yidam; “Ave Maria” is his mantra. realized that everything is a state of mind. I am free and master of myself. I am whatever I believe myself to be, if my belief is strong enough. My mind was released from its struggle and I felt the strength of a giant, like a god…The Mazatecs…looked at me and chanted, “Santos, Santos, Santos,” in unison.…I really began to feel like Santos, whoever he is. I became identified with a mental image of Santos that took shape in my mind, accompanied by a feeling of ecstasy… I rose on one foot, light as a feather, and turned slowly on my toes. I had perfect physical control and began to do the eagle dance…I began to chant in Mazateca and moved and swayed to the rhythm of my chanting. It all came as naturally as breathing the air. May I become an inexhaustible treasure for the destitute. With various forms of assistance may I remain in their presence. For most, the heightened and deepened state of awareness facilitated by the drug [MDMA]serves as a kind of preview, as it were, a taste of the possibilities that exist for much greater emotional openness and relatedness than they had imagined. Tonglen is a Buddhist loving-kindness meditation practiced in the Mahayana and Vajrayana lineages. In tonglen, you imagine that you have a bright white light burning in the middle of your chest. You then visualize another person and imagine inhaling their general sufferings, in the form of black smoke, into this white light, where they are dissolved and destroyed. Feelings of well-being, like peace, sanity and compassion, are then “exhaled” back to the person in exchange. MDMA could be of potential benefit in such a practice where the generation of compassion is used. Indeed, some practitioners report benefits of its use in their meditative practices. 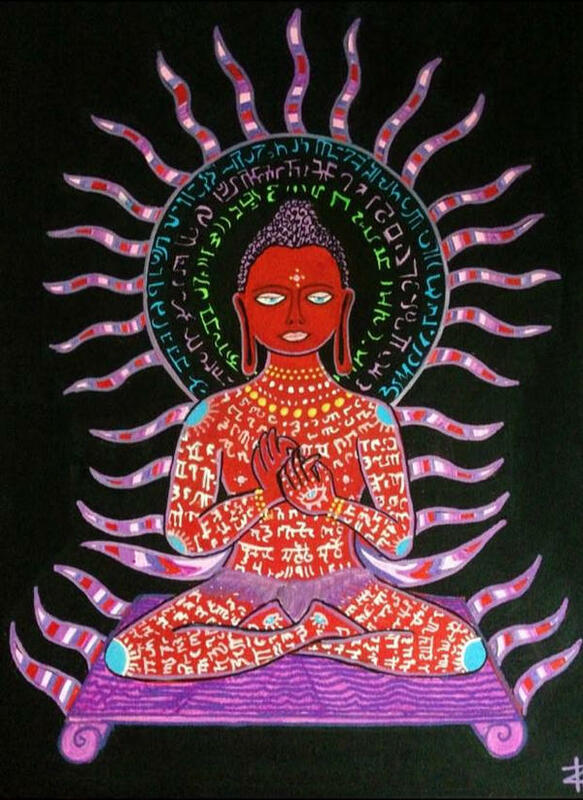 For of psychedelic experience to more Buddhist practices, see my Psychedelically Infused Buddhist Practices. On a sunny Tuesday afternoon, amidst the wheat fields of an empty stretch of highway, I met my current teacher. An elderly man dressed in dark-red monks’ robes and with an umbrella to shade his bald head, I picked him up as he was hitch-hiking to make his annual dental appointment. Over the past few months, I have visited him many times in his forest cabin where he lives. He has become my preceptor in taking formal refuge, and a dear friend who cares for my well-being. Leon, 76, is an ordained monk in the Sakya tradition of Tibetan Buddhism. He underwent an 8-year retreat (alone and in a cave, no less), and studied for years under Dezhung Rinpoche, his root-teacher. As it is said one can only progress so far on the Buddhist path without a living embodiment (9:34min) of the teachings, I made a plea to the universe for a qualified lama to guide me. I view my chance encounter with Leon, happening shortly thereafter, as a response to my earnest request. Leon has constantly emphasized that the goal of spiritual practice is to cultivate what he calls true-seeing. 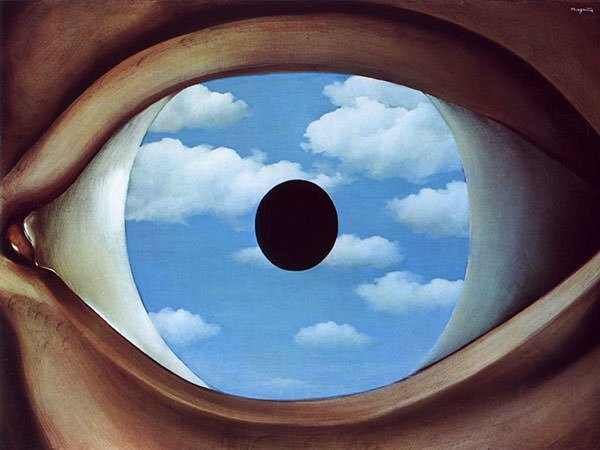 This does not refer to physical eye-sight, but to perception as a whole (of which eye-sight is just a part). I can only briefly describe here what I believe Leon means by true-seeing. True-seeing, he says, is the crystal-clear experience of things as they are – an intuitive penetration of experience that cuts-through delusive thought and self-deception. This seeing is to be used to “behold the reality and absolute worth of ever being” one encounters. It allows you to comprehend another’s situation in its entirety in order to act with precision in guiding them to liberation from “the heavy chains of hope and fear that bind them to the painful web of their own illusions.” Love, he says, is not the desire to see another person happy, but to see them free. Precise action is the means to bringing this about, through true-seeing. This teaching has caused me to re-evaluate my motives regarding psychedelics, and to ask whether they are helping me towards this goal or not. Looking back at my experiences, I view them to be instrumental in my overall development so far. I see trips as incubation periods – times of rapid growth and revelation that I then attempt to integrate into daily life. I believe that psychedelics have indeed helped me in each area explored above, and that these lead to the goal of true-seeing. From leading me to seriously take into account the certainty of my own death, to the belief that my conscious will continue on in some form after it – from gaining a new perspective of the culture I live in, to de-programming myself from the beliefs it has instilled in me – from discovering that I am connected to everything and everyone, to gradually uncovering that I am no one in particular – I believe psychedelics have expedited my progress in learning and implementing Buddhist teachings. The contemplation of my death instills an energy of urgency within me to act wisely with the time I have, and the realization of the defects of worldly existence helps to point that energy in the direction of self-development, rather than to external aims of life. This focused energy then fuels my efforts in practices – like the practice of illusory form, deity yoga, and lovingkindness meditation – that lead to deprogramming, de-conceptualization, and a saner reorientation of my perspective. By these practices I hope to come to a greater and greater experiential understanding of the truths that I have briefly experienced in the unaltered waking state, have glimpsed in psychedelic states, or have only heard rumours of: interdependence, emptiness, and no-self. I hope that as the lived experience of these things grows in my life, I will come closer to true-seeing. Though I believe that psychedelics have been instrumental in my development so far, I do not see myself taking them forever. 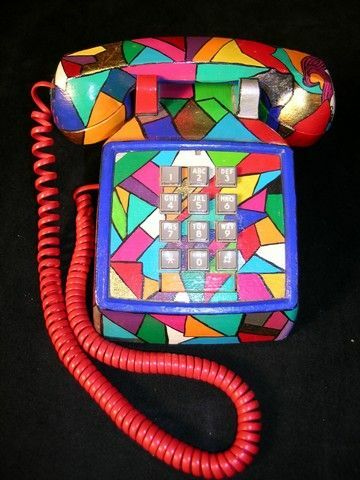 Along these lines, Alan Watts once said, “Once you get the message, hang up the phone.” In response to this, though, a wise old man once said to me, “Yeah, but don’t you think you should check the line once in a while to see if you have any missed calls?” It would be arrogant to think that we might have nothing more to learn from these miraculous substances. Because many psychedelic substances are illegal, and because I am not expert in their effect and usage, I wouldn’t directly recommend their use to anyone. I am only certain about my own experiences – and barely those. Around the legal issue, though, there are legal methods, which should still be used with the proper preparations. This is worth the consideration of anyone open to exploring alternative means to psychospiritual development, regardless of tradition. Psychedelic Dharma Powered by WordPress.com.